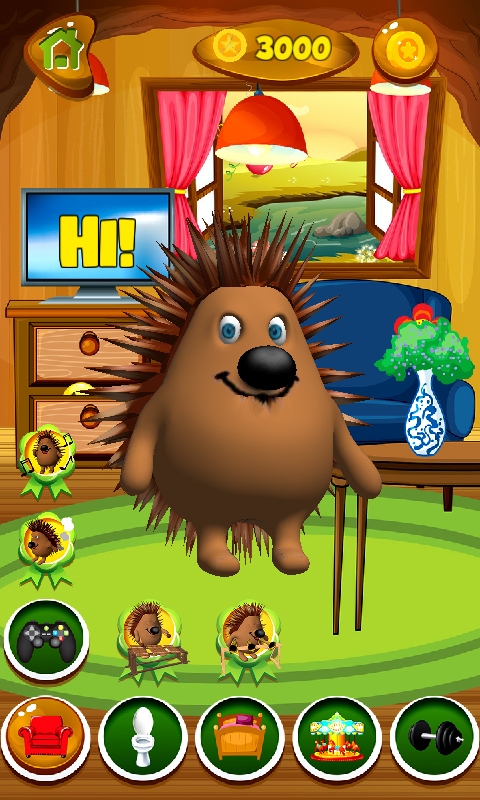 The latest talking game is here, so meet your new friend. Is not he the cutest little animal ever? Now he will be your virtual hero. 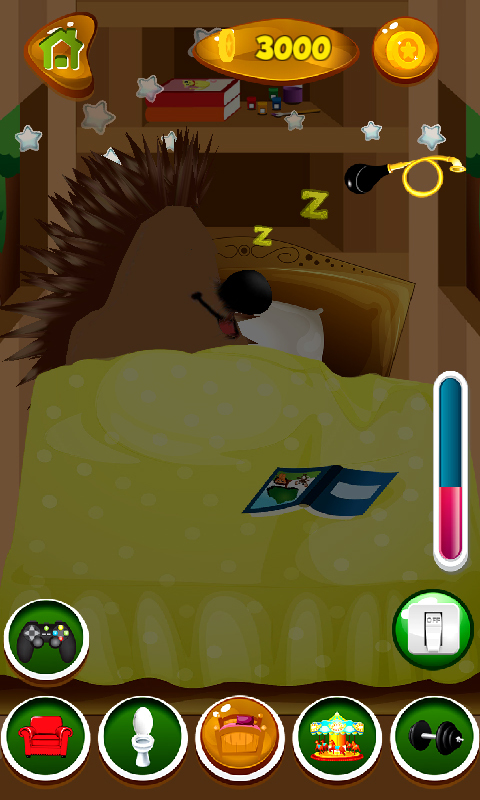 Download free Talking Hedgehog game app on your smartphone and have fun with the best pet game. This buddy lives in the forest, and he will welcome you to his beautiful home. He has an amazing house, that even has a top home gym! How about that? 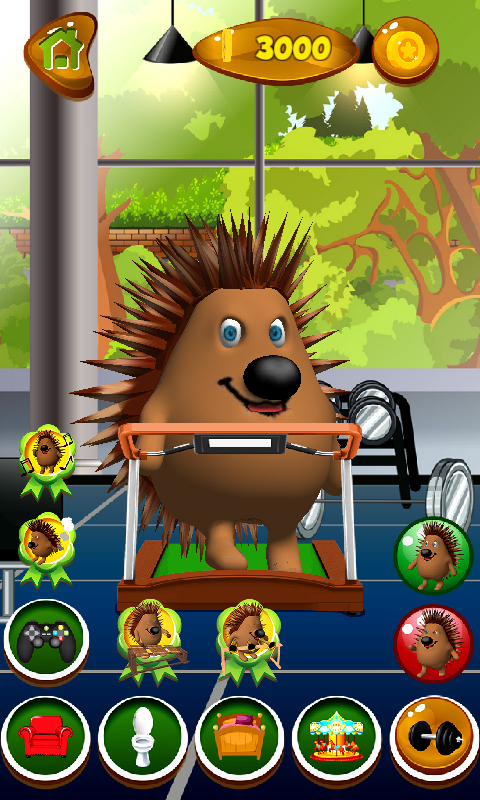 Take care of the hedgehog, play with the him on the playground and make sure he gets his daily workout. Tickle him and slap him for fun, to see his reactions! 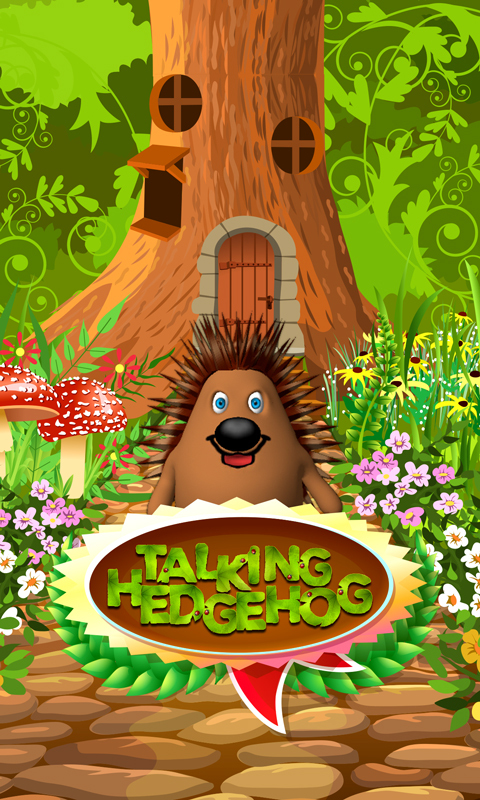 The hedgehog lives in the forest, install this popular app and get ready for an exciting adventure. He has some dancing skills, so you will be amazed to see his moves. The magical forest is his favourite place, so he enjoys spending time on the playground. 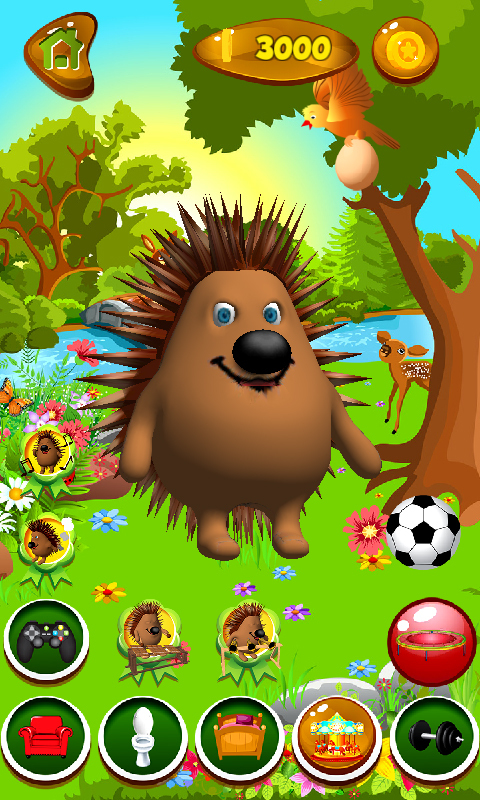 Try mini games and collect the coins! 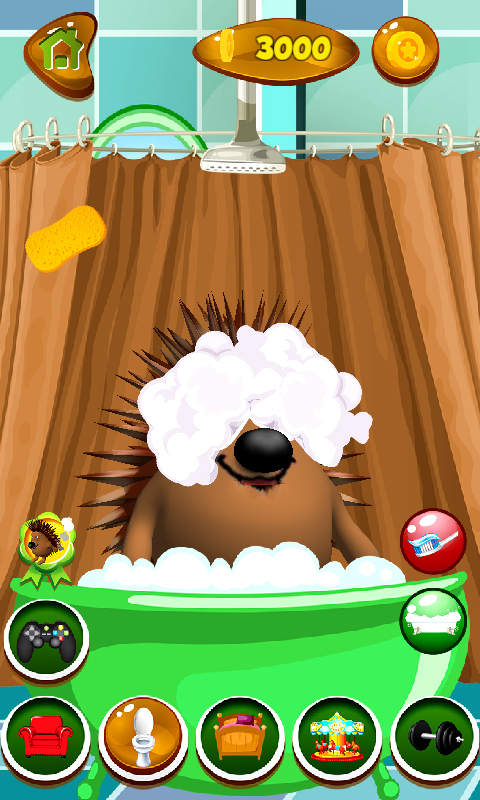 The top hedgehog adventure can begin! Talk to your pet and he will listen carefully. Later he will be able to repeat your words.